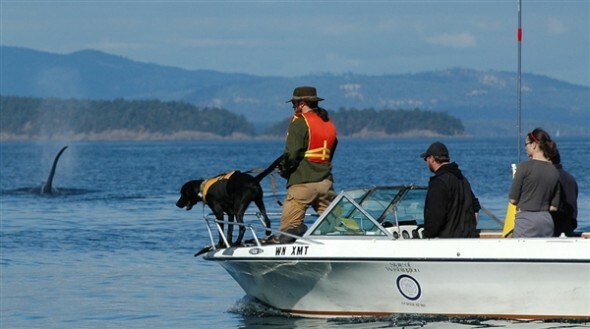 Meet Tucker, a dog trained to sniff out pods of Orca in the ocean to help scientists study their health. His incredible nose makes tracking the animals and evaluating stresses on their habitat easier for researchers. This entry was posted on Thursday, June 7th, 2012 at 2:11 PM. It is filed under Blog. You can follow any responses to this entry through the RSS 2.0 feed.